Melina's two cents: Are We Killing Tango? Thank you for this post, Melina! I didn't think much about festivalitos, demos, classes and tango art. But I've been noticing the growing elitism in tango, the tendency to separate according to ability to dance and a sense of competitiveness, and I regret them very much. Never been to an encuentro myself yet and when I registered for one the other day I felt ambivalent. 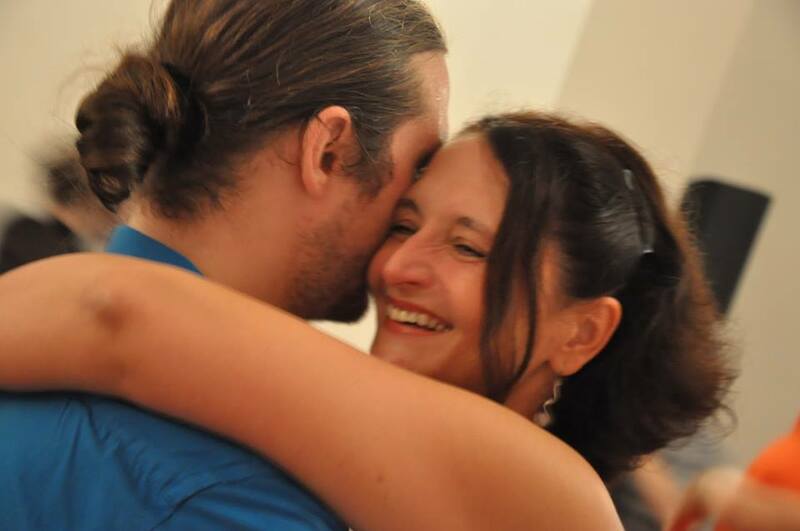 I love tango for several reasons and one of these is that it creates a space for real community, for meeting people as equals and making the differences between us unimportant. This is so valuable, and rare. But if the elitist trend continues I worry this main reason to love tango will disappear. Milena, I agree with your thoughts and thank you for sharing them. For me Tango is about passing the fire not the ashes. Hope to meet you some day. mais avec nos amis de Clermont-Ferrand , nous avons décidé de créer une association locale ' Clermont Tango' pour transmettre le style milonguero , pour l'enseigner et le faire partager au plus grand nombre. C'est aussi là que nous faisons venir des enseignants de haut niveau pour continuer à apprendre et pour pratiquer chaque semaine. ce qui nous paraît important c'est d'agir simultanément dans les deux directions : se faire plaisir en encuentros et aussi transmettre localement notre amour du tango milonguero à ceux qui nous entourent dans une association locale. ceci est possible car parmi nous ,les meilleurs danseurs milongueros de Clermont Ferrand , donnent du temps chaque semaine pour enseigner et former de nouveaux danseurs et danseuses. Celà demande beaucoup d'énergie et de temps , mais c'est un plaisir immense de voir ces apprentis progresser de jour en jour en cours , en pratique et dans les milongas locales. c'est aussi une belle aventure entre amis et ça c'est très important aussi. on t'embrasse , et merci pour tes textes sur le tango. Dear Melina, a well studied and true statement about changes in the Tango-"Community". I would like to meet you - hopefully in near future. Dear Melina, a well studied and true statement about changes in the Tango-"Community". I would like to meet you very soon if possible. I agree that a lot of these things are happening, but not necessarily that one of them causes another. There are natural evolutions in preferences based on the information that people have, there are actually numerous overlapping communities, and I think all of these developments are temporary. For example, I personally feel that the encuentro/marathon approach, or at least its Northern incarnation, reached its peak one or two years ago, people have already learned from it, and they're already experimenting with new approaches, mostly locally and therefore less visibly. Space for practice and mentoring (rather than teaching, necessarily) is a significant part of that. Some experiments fail, of course, but failures are important. The question of live music is extremely interesting. All we actually *need* to make that happen is Postmodern Jukebox with bandoneons. I'm not sure that enough of those are available just yet. you were "writing about a division into „the normal dancers“ and the „elites“". I am a "normal dancer". I really don't care when elite-minded dancers do their own antiquated stuff in their ghettos. They call it "social" (!) tango. I would rather call it antisocial. "Are we (the elite) killing tango?" What hubris shows this question! This elite has a very limited understanding of tango. May be they kill this... So what. Tango is and will be alive! Enjoy the tango in 2015! I hope everyone understands that I am using the means of exaggeration and irony, especially in using such a title and polarising certain aspects of the tango development. It is of course impossible for a sub-group of organisers and dancers to really kill tango. But their actions may indeed have an influence. For the good and bad. This is what I wanted to point out. Great post ! Thank you Melina ! Anca, I agree 100% with your opinion!! Thanks for posting! thmas kroeter says: dear melina, we all are full of contradictions. you are moaning: theres not enough modern music. but you write: I will always prefer dancing to Di Sarli instead of any modern orchestra. you coulde have wirtten, for instancenot: di s is the greatest for me, but the other day i heard some young musianse i can recommend... but you didn't. so your moaning too me seems not very helpfull. as long as advanced dancers (teachers, djs, organizers) like you dont feel the reponsibilty to lead the tango community beyound the comfortable"jail" of the golden age, as long as even troilo/grela, salgan, sexteto mayor (not to mention piazzolla) are kind of taboo in classic and even fusion milongas - as long the tangosecne will tend so be an oldie one in more than one sense. nevertheless i like it. but we should avoid to much illusions. I have been dancing tango for over 11 years and I still take classes (with Elisa who posted above :-) ) because I know that you can always learn more. But maybe that's because I also do other dance forms where constant learning is encouraged. And I am not above dancing with a beginner from time to time because I still remember how grateful I was in my early days when experienced leaders would dance with me. Thank you for this thought-provoking post, Melina, and for your years of wonderful classes and sympathetic teaching. I would like to add another perspective from someone who lives in a city where there are workshops and classes offered at least two week-ends out of four by teachers from all over the globe. Sometimes this great abundance leads to diminishing returns for travelling teachers -- no one minds missing a class when another teacher is going to turn up in just 14 days, and so classes become smaller and smaller. What is lost in this experience is the failure to develop a relationship with the gifted dancer who will visit us once every 14 months, stay for just two or three days and perhaps even teach the same class all over again during the next visit. The festival with its frantic and exhausting schedule is not necessarily the best place to address this challenge. The encuentro, which may seem an exclusive or cliquish offering to those who cannot attend, has been one response to providing an opportunity for dancers from a wider community to meet, explore and grow together. With a balanced lead/follow structure it can be a wonderful experience. One thing we know for certain as this discussion reveals is that we are blessed with both committed and dedicated dancers and thoughtful and resourceful organizers. Thanks for being, both, Darling Melina.
" The level of true improvisation is very low at a social dance event." And yet what if people started dancing tango by improvising? Not everyone starts with classes. Or regrets doing it that way. In fact, plenty prefer it. But I understand you lament the slowdown in classes etc if that's your line of work. "But demos also inspire people"
Shows do inspire people - to become tango performers - or rather, to try and do performance tango in a social context and what a distasteful disaster that is. The things you see in shows are almost never suitable or desirable for social dancing. That is the trick, the sleight of hand, the misnomer...."do what we do - and become a social dancer". But the two things are just not connected. Good social dancers inspire other good social dancers. True. And you say yourself, to what point that is - the point where many people are coming to value social tango above show tango, that they see it as two different things and prefer the former. "These are friends whom we want to introduce to our community, whose dance we like to present. It is always an inspiration." Social dancing isn't presented. It's danced, by a couple, for each other. How strange then, that the way those people are introduced to a community is by doing a show, rather than dancing with the people in that community. Encuentros are where elite dancers shut the doors and dance among themselves. I like local milongas. They're open, democratic, they're about pleasure, not aspiration and it's where social learning, from watching and feeling, flourishes. The future, as I see it, is simply healthy, local milongas where experienced dancers dance with new people and this is repeated in turn. You have obviously not read my blog properly AND you don't know me or else you wiuld not publish such a comment. Iona: please do ask other non-european first-timers about their experiences at encuentros. I am sure that most if them did not regret coming and got lots of dances. In fact, I know quite a few of tgem personalky cause I invited them to join. As for those who would like to join, but are not admitted: sure, they exist. But they get fewer every say as more and more encuentros are created. Signing up with a partner is indeed tricky as there is alawys a long female waiting list. But that is the same at marathons or regular workshops. There are just more female dancers than male ones. As long as organisers keep on accepting more new women than men to beginners classes just to fill their classes and don't come up wirh alternatives like having everyone learn both roles from the beginnibg, this problem will just go on getting bigger. but this is another problem. Iona: I've no doubt at all that people have great experiences at encuentros and that first-timers get plenty of dances. The fact that encuentro experiences are usually so blissful is the whole reason why people get upset when they are excluded from those events. PS As I posted on the other thread, I'm not in the slightest doubt that first-timers have great experiences at encuentros, do not regret coming and get plenty of dances. If encuentros *weren't* such blissful experiences, people would not mind being excluded from them. But, as it is, they mind precisely because those events seem so appealing. Love the idea of booking by leaders and followers and allowing ambitangueras to join! Please support the use of live musicians for Milongas. We have a new group in Wiltshire and had two Milongas so far-both with live music and that makes a huge difference to the atmosphere. Maybe ,as we are mostly still learning there is not the pressure to be perfect. Joe Powers was the first act and he was great- playing with his mobile mic and moving on the floor with the dancers. Not a huge number attended- but it's the quality of the interaction that counts- as with each dance. I saw your blog and I like your idea that the performers can also learn by watching their own video later. I like the idea of emptying the dance floor for just a couple of minutes, to watch two couples perform, presenting their personal way of dancing. I can imagine this is always an inspiration. I share your awareness about a division into „the normal dancers“ and the „elites“. Those who go to local milongas or festivals, „still take classes“, who enjoy the distractions of demos, orchestras and art and the others who don‘t need that kind of stuff any more because they „just want to dance amongst other good dancers“. The elite complains, if there are too many „beginners“at one of „their“ (OUR) events. Dancers with a reputation as advanced social dancers, that say they are focussed on not disturbing the ronda. I believe that people who just keep on patting each others backs will sooner or later lose confidence in themselves. That’s why I specially like your idea that we should not stand still and replicate old ideas over and over. Maybe we need to think of other forms of events. I like the part where you explain about your personal preferences, maintaining the awareness that your post is not about personal preferences. It is about how we can all enjoy Tango, right? This is where I would like to share my personal feelings about enjoying tango. You wrote, people rarely develop new forms of movement. About the wish to „entertain“ the partner... and how this leads to rather „sloppy“ leading and to constant repetition of „safe“ and preferred patterns. I believe this is the result of “standing still and replicate old ideas”. I believe the reason for the fear of walking into another couple, the lack of time and space to stop and think, to explore things slowly or to just listen to the music, has to do with the traditional way of teaching tango and the rules that support that. I see most teachers teaching the followers to literally follow by learning basic steps first and to wait for the indication of the leader to start moving, executing this steps themselves at the right moment. Perfectly understandable for me if I think about the expression “follower”. But as soon as this “follower” is following the step indicated by the leader, moving away from him, the connection will be broken unless this leader will follow her movement. That might sound nice, but in my perception it doesn’t work to support each other that way. I believe the leader would be seen as a “motor” and the “follower” would be able to connect to this motor, like a “frame”, the frame would be in charge of the way how the motor moves her, leaving the motor in charge of navigation. As soon as the frame would move her legs herself, helping the motor with navigation, the connection would be lost. As soon as the motor would hold the frame, helping her to keep the connection, this connection would also be lost as the frame would not be able to keep balance anymore. This way there wouldn’t be a reason for the fear of walking into another couple, as the man behind the wheel is the one in charge of navigation. There wouldn’t be any lack of time and space to stop and think, to explore things slowly or to just listen to the music, as all these other men in charge of navigation would be able to navigate around us without disturbing the ronda. How do you like this new idea of moving?